Dies R Us: Happy Birthday My Brave Leo! What I made this week...? My boyfriend just had his 26th birtday last Friday, and I made him this card and cupcake topper set, LOL. Trust me, I tried to keep this simple (but still too girly don't you agree? LOL). 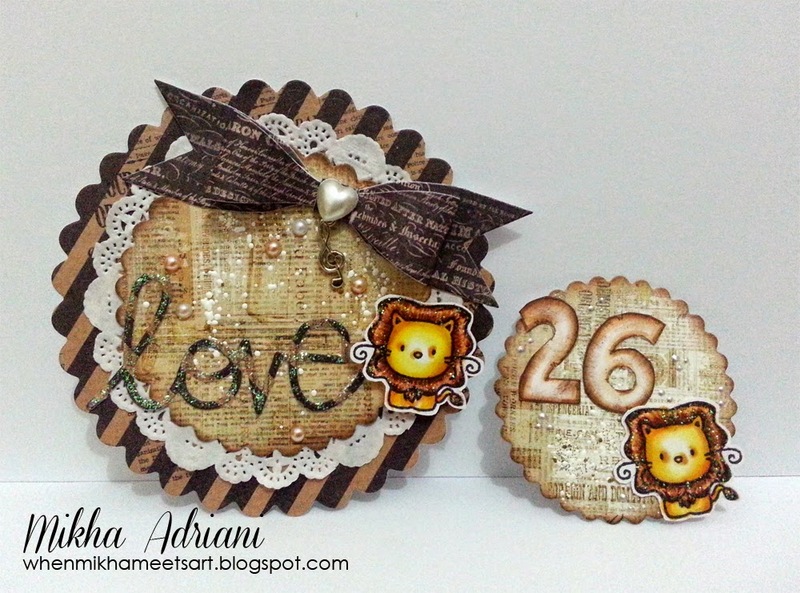 His zodiac sign is leo, and I use this cute leo from Mama Elephant Stamp. And the numbers are from Magnolia Stamp. I hope you don't forget to visit our store. We have free die waiting for you on order above 45$. Omg, 45$, such an easy amount!! What do you waiting for? This offer will close on 20th! Just run HERE!! This is so cute Mikha ... Happy Birthday to your boy friend ... I'm sure he loved it! LOVE the little lions! Perfect for a Leo's birthday! What a clever idea! !